Play literally shapes our brains. From babyhood through to adulthood, play has an ongoing role in shaping our emotions and engagement with the world. When play also involves movement it activates many areas of the brain but particularly the neurons of the prefrontal cortex. During childhood this activation helps wire up the brain’s executive control centre, which is the hub from which our skills of problem solving, flexibility, emotional regulation, creativity and planning abilities reside. Play continues to play an important role in regulating these skills in adults. So imagine my despair when I noticed it becoming increasingly difficult to engage my own children in PLAY. When my kids were preschool age it was easy, we had a cubby house outside, a simple swing set and lots of imagination games that captured their attention for outdoors active play and imaginative play indoors. But now at the ages of 8,11,and 13 my kids have physically and mentally outgrown these equipment and games. I’m not yet ready for to send them off riding bikes and scooters around the neighbourhood and if I let my children choose they would want to sit on the couch and use technology as their leisure time after school. I’ve always been conscious of not having many extracurricular activities for my kids. The idea being to try to give each child plenty of unstructured down time at home. But I’ve been starting to think that in this technology age having structured after school sport and music may be the better way to go, rather than being at home and tussling over technology access. With this context in mind imagine my delight when I came across the Growplay monkey bars. A physical play solution that fits in own my backyard . 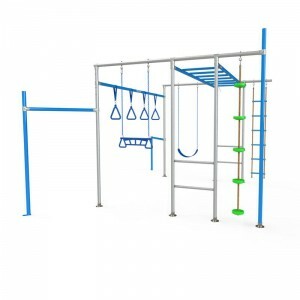 It’s a simple climbing system that has endless options for play no matter their age. 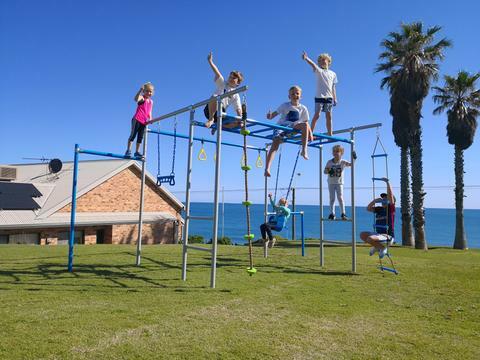 From the Growplay website: The Growplay monkey bars are free standing, height adjustable and cleverly designed to fit in the average backyard. The modular steel frame design comes standard with 9 challenging fun filled features suitable for all ages. They are certified to withstand 660kg. 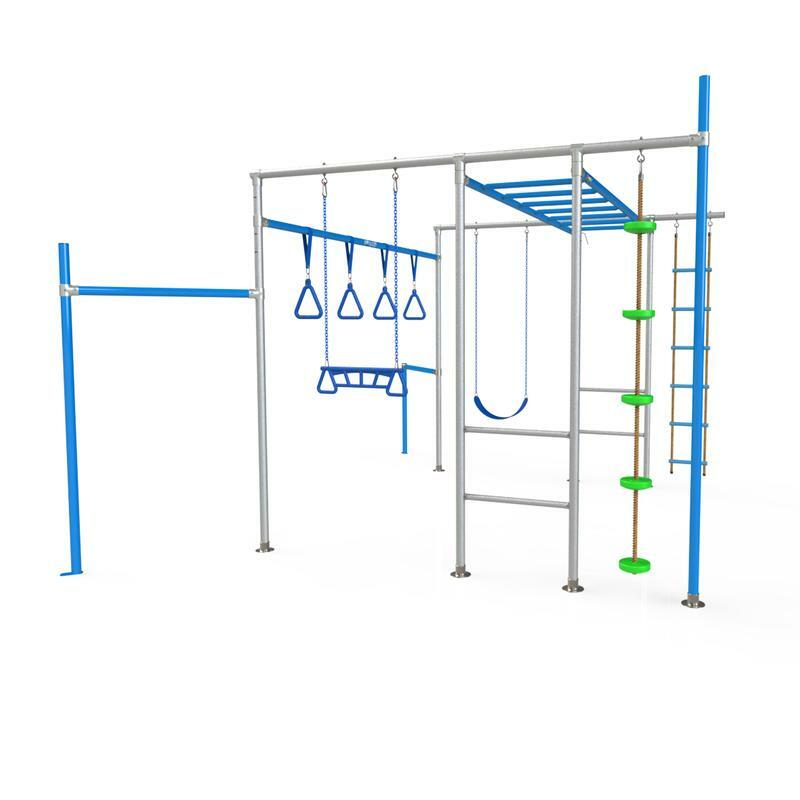 In celebration of our mutual love of play Growplay monkey bars are offering a $25 discount on the Growplay monkey bars when you order. Visit www.growplaymonkeybars.com and add the code “GROW-ON” at the checkout. Lara Moes is the director of Grow On Childrens Occupational Therapy.